Last week, the Smithsonian National Air and Space Museum announced plans to construct a new exhibit called “We All Fly,” to celebrate and honor achievements in general aviation. At EAA AirVenture 2018, famed aerobatic pilot Sean D. Tucker revealed that his Oracle Challenger III custom-built biplane will be featured on display in the gallery’s entrance. According to the museum, the new gallery is made possible through a $10 million gift from the Thomas W. Haas Foundation. The exhibit is scheduled to open in 2021 and will highlight sport, private, business, humanitarian, and utility flight. The new gallery intends to give visitors opportunities to engage in interactive educational technology and videos and learn about careers in general aviation. Tucker’s Oracle Challenger is an exciting addition to the gallery’s entrance. The biplane features high-performance, advanced aerobatic technology including Hartzell’s three-blade structural composite propeller known as “The Claw.” In fact, Tucker coined the name for Hartzell’s reliable high-performance aerobatic prop. For more than 40 years, Tucker has dazzled millions of people in flying performances at airshow venues across the country. As the chairman of the EAA Young Eagles program, Tucker is passionate about introducing and inspiring youth in the world of aviation. 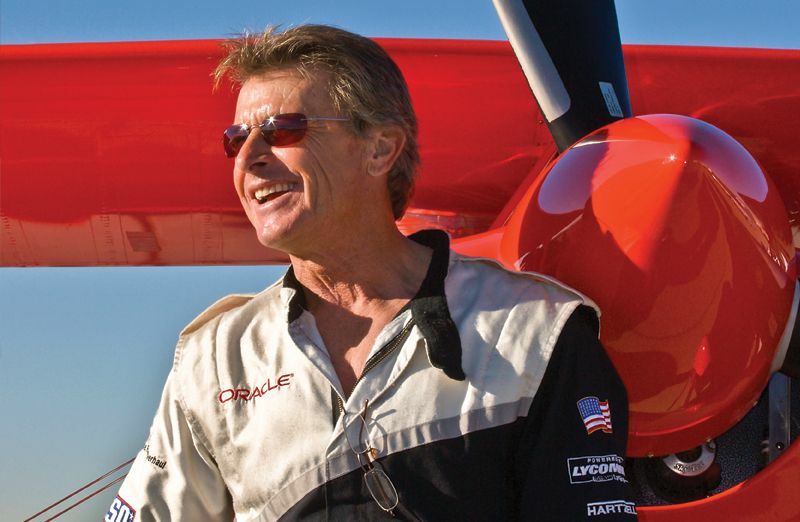 Tucker announced last year that he will retire from solo aerobatic performances at the end of the season. In addition to Tucker’s Oracle Challenger, aircraft including a Cessna 180, Gates Lear Jet and a Cirrus SR22 will be on display in the new exhibition.